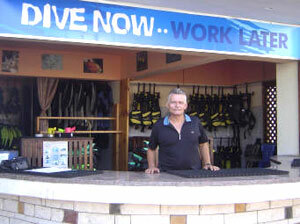 Ingrid & Mohamed Kabany would like welcome you to the INMO Divers Home website. Throughout this website we have tried to give you as much information as possible about ourselves and our dive centre so that you'll feel at home at your INMO Divers Home. 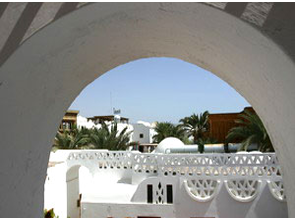 We set up our hotel and dive center in 1989, close to the heart of Dahab, building it in an Arabic style, in order to share with all of our guests not only our home but also a taste of the Orient. Diving is our speciality. For this reason we are passionate about giving you the best possible service with regard to equipment, training and guiding. We offer you an extensive range of training courses in PADI and also in SSI. 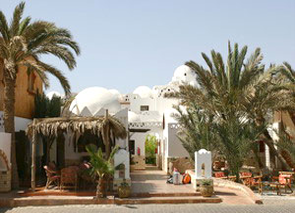 Our hotel and dive centre are located directly at the house reef, with a view over the Gulf of Aqaba to Saudi Arabia. Our restaurant, swimming pool and children's play area with its cave and paddling pool are located directly at the beachside. Lounging on the sun deck makes your time between dives a pleasure. We also offer you free Internet connection. Importantly for families, child care is provided by INMO tea during your dives. 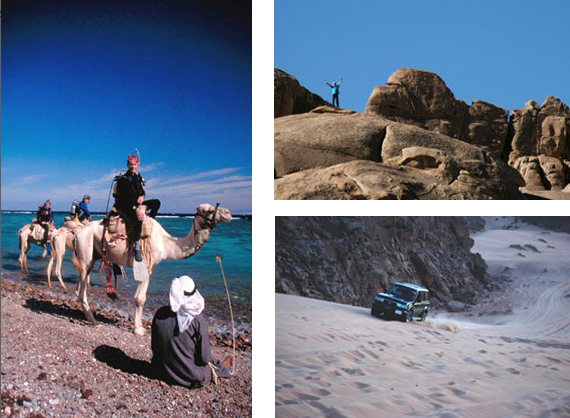 We specialize in offering fascinating desert safaris to Bedouin lands and dive safaris to selected dive spots that are not known to the public. Should you be interested, we can provide you with a mixture of both trips. Firstly, we take a beautiful trip trough the desert, transporting our dive equipment in a jeep or on the back of a camel. Our goal is to enjoy the amazing underwater world of the Red Sea with its varied fish and coral.